by R. E. Banta, Crawfordsville, Indiana, 1951. A Prisoner of War, March 8 to June 16, 1779. 11th. Crossed the Roanoak seven times. of our getting into Washington County– At the house of Mr: Thos. June 15th An Officer arrived who had a written order signed by Govr. The Wilderness Road Blockhouse in Natural Tunnel State Park is a reproduction of the original blockhouse built by an early pioneer, John Anderson, in 1775. Anderson’s eventful life included not just his role as the Blockhouse proprietor, but also service as a regional militia leader and judge. Born in 1750, Anderson was the son of one of the first settlers of the Shenandoah Valley, William Anderson, who farmed several thousand acres near Staunton, Virginia. The Andersons were part of a group of immigrants known as “Scots-Irish” because they were Scottish in ancestry but came to America from Northern Ireland. The Scots-Irish were hardy and stubborn people, qualities Anderson would need to survive first the French and Indian War in his youth and later the long conflicts in the Holston region. Anderson first explored the Holston area in 1769, when it was still a wilderness, and moved to the area in 1773 with a wave of new settlers. Anderson did not build the Blockhouse, however, until two years later. In the meantime, he nearly lost his life. During Dunsmore’s War, a short-lived conflict with the Shawnee in late 1774, Anderson served as an ensign in the local militia attached to Blackmore’s Fort left behind to protect against attacks on the settlements. When a raiding party caught the fort defenders outside the fort, Anderson and another defender left the security of the fort under fire to try to rescue a downed comrade who was about to be scalped. The militia colonel in charge of the region reported that “the Indians like to had done Anderson’s job, having struck into the stockade a few inches from his head.” Daniel Boone led a rescue party to the fort the day after the attack and served as captain over the local fort defense for the rest of Dunsmore’s War. Boone and George Rogers Clarke were two of the heros of the era Anderson undoubtedly new and worked with in the defense of the western frontier. When he was discharged from his militia duty, Anderson married his fiance, Rebecca Maxwell on January 12, 1775. Needing a place to raise his family, he selected a piece of land at the end of Carter’s Valley, the farthest settlement into the Holston wilderness. This location, wittingly or not, placed Anderson squarely in the path of any native raids coming across Big Mocassin Gap from the west. On this spot he build the famous Blockhouse in the spring of 1775. For the next twenty-five years, Anderson’s Blockhouse served as the starting point for parties crossing the Wilderness Trail to Kentucky. Anderson is best known for his role as the Blockhouse owner, but he was also a successful farmer and one of the area’s leading citizens. Following his service at Blackmore’s Fort, Anderson likely fought in the Battle of Long Island Flats, one of the first battles of the Revolutionary War. In early 1777 Governor Patrick Henry of the new state of Virginia appointed Anderson as one of the first members of the county court of newly formed Washington County, and as captain of the County militia. After 1779, due to a boundary dispute, Anderson and the Blockhouse became part of North Carolina, where he served as Lieutenant Colonel in the Sullivan County militia. Anderson is believed to have participated in at least two campaigns into native territory during the Revolutionary War. He may also have fought in the key Battle of Kings Mountain in 1780 but the records are unclear. In Virginia, he is often referred to as “Captain John Anderson,” his rank in the Virginia militia, but several researchers refer to him as “Colonel John Anderson” based on his later rank. When his state affiliation shifted to North Carolina, Anderson continued to serve as judge on the Sullivan County Court. In 1783, a group led by John Sevier tried to establish a new State of Franklin that would have encompassed the Blockhouse. Anderson found himself on the side of the supporters of the new state and even served for a short time as one of three state justices. Many residents of the area opposed the state, and the dispute reached violent proportions on occasions. At one point the opponents raided Anderson’s court, drove the justices out, and took all their records. Anderson’s brother-in-law, George Maxwell, led the military forces of the opponents. In the 1800s, due to shifting state boundaries, Anderson found himself back in Virginia. In a mark of the high respect area residents held Anderson, the citizens of new Scott County elected him Sheriff, the first officer appointed, even though he was 65 years old at the time. He died two years later while trying to bring cool water from a distant spring to his ill wife. His son Isaac became a leader of the new county. Anderson and his wife raised eight children and had sixty-four grandchildren. One of those grandchildren, Joseph R. Anderson, founded Bristol, Tennessee. The Blockhouse burned in 1876. Anderson never held political office and never followed the adventurists like Boone into new territory in Kentucky and elsewhere. Instead, he settled into his life at the Blockhouse, the only home he and Rebecca ever knew, and provided a life of dedicated service to his local community. The many descendants of the travelers over the Kentucky road can thank him in part for the lives their ancestors were able to create. Readers who would like more information on Anderson or the sources of the information in this article should see Anderson, W., John Anderson, Blockhouse Proprietor and Early Frontier Leader, in Appalachian Quarterly 9:57-67 (Dec. 2004), located at _____. Speculation about the location of the original Wilderness Road continues. Mary Kegley argues that this historic trail did not pass through Montgomery, Pulaski, and Wythe Counties. Her article in the 2004 Journal of the New River Valley Historical Society (Vol. 17, No. 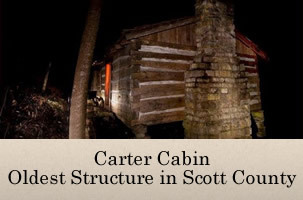 1) states on page 1 that “it began in far southwest Virginia at the Block House which was located in present Scott County.” From that point it passed westward across the Cumberland Gap and through eastern Kentucky. If she is correct in this assertion, then how did the Wilderness Road become associated with Christiansburg, Radford, Newbern, Fort Chiswell, Wytheville, and even Roanoke and Salem? Some sources agree and place the start of the Wilderness Road in Virginia at or near Weber City close to the Tennessee border. But curiously, some say the start was in Bristol; others say Fort Chiswell; and still others claim Roanoke or Buchanan. William O. Steele’s book, The Old Wilderness Road: An American Journey (1968), places the start at the Blockhouse near Weber City where Daniel Boone set out with his group of axmen to cut and blaze the trail in 1775. Yet neither of the authors cited in the journal article, Robert Kincaid and Thomas Speed, limited their descriptions of the Wilderness Road solely to the section blazed by Boone and company. In fact, there is considerable evidence to the contrary. Kincaid, for instance, made specific reference to the Wilderness Road in the Roanoke Valley on page 144 of his book, The Wilderness Road (1955). There are numerous references to the Wilderness Road in various parts of Virginia that go back decades, even centuries. They are not, as suggested, mere ploys for marketing purposes. In pioneer times, these trails or paths had no road signs. There were no route markers like we see on today’s interstate highways. Sometimes, the name given to a road depended on the direction in which one was headed. Travelers going northeast to major cities would refer to the path as the Philadelphia Road or the Baltimore Road. When heading southwest, they would say that they were on the road to the wilderness or the road to Kentuck. In time, it was easier simply to refer to the entire stretch as the Wilderness Road. Park Rouse Jr. in his book, The Great Wagon Road from Philadelphia to the South (1992), has the Wilderness Road breaking off from the great Philadelphia Wagon Road at present-day Roanoke, with the wagon road going south into the Carolinas and the Wilderness Road continuing west. In my book, Wilderness Road Odyssey (2003), I begin the first chapter by acknowledging some of the various names that have been applied to portions of this historic route: “the Great Road, the Philadelphia Wagon Road, the Valley Pike, the Long Grey Road, and the Wilderness Trail. My total interest at the time was to follow as closely as possible the original route described by John Filson in his book, The Discovery, Settlement and Present State of Kentucke (1784). This manuscript is now long out of print, but Thomas Speed describes the Filson route on pages 16 and 17 of his book, The Wilderness Road (1971), as going “from Philadelphia through the valley of Virginia and Cumberland Gap, and… the interior parts of Kentucky to the Falls of the Ohio.” a total distance of 826 miles. Filson’s itinerary specifically mentions identifiable places in Virginia including Winchester, Woodstock, Staunton, Roanoke, New River, Fort Chissel [Chiswell], and other points west including the Blockhouse and Cumberland Mountain. More important than the name of this traveled way is the fact that it became, in the latter half of the 1700’s, the primary migration route westward for tens of thousands of settlers seeking that faire land of Kentucke. It preceded the trade routes and migration paths well known in the west, namely the Santa Fe Trail, the Oregon Trail, and the Mormon Trail. It’s important to preserve that history and give it an identity exemplified by the Wilderness Road Regional Museum in Newbern, the Wilderness Road State Park near Ewing, and several restored forts and traces in Kentucky. In Virginia, there is currently an effort underway to gain state recognition of the Wilderness Road migration route and have it become a designated historic trail on state maps and tourist brochures. Some may see this as exploitation and a means of attracting visitors for economic gain. That’s exactly what it is and it makes perfect sense. When travelers come into the region, as many no doubt will during Virginia’s Jamestown Quadra-centennial, communities along this historic path will have an opportunity to interpret, educate, and entertain in a most positive way. Nestled in the shadows of the Cumberland Mountain, Lincoln Memorial University shares a unique location with a world famous natural feature that serves as a boundary for Tennessee, Kentucky, and Virginia. The Cumberland Gap, made famous by its historic role in providing a western passage for early European pioneers, is actually a low place in the Cumberland Mountain, which forms the north wall of the Powell Valley. The mountain pass was formed by geological processes over eons of time. Deer, bear, and other animals were forced south by advancing sheets of ice during the last ice age (10,000 to 40,000 years ago). They wore a trail through the pass as they searched for hunting and foraging lands. For similar reasons, Cherokee and Shawnee hunters and warriors later followed the well-worn path through the mountain. As western European societies emerged from the medieval times, population pressures coupled with political and religious conflicts and economic inequalities forced millions of their seed to seek a new and better life in America. The Cumberland Gap, as a migratory path, and Lincoln Memorial University, as an illuminating institution of higher learning, continue to assist Americans of all ethnicities to open doors of opportunities and go across a multitude of barriers in their pursuit of a better life. A towering outcrop called the Pinnacle has historically provided armies, bandits and hunters with an excellent vantage point to watch the intermittent flow of animals and people passing through the Cumberland Gap. At 2440 feet above sea level, the rocky overlook is 800 feet above the Gap. Cumberland Mountain is exceedingly steep, and because of many decades of heavy timber harvesting in the area, the soil became shallower as its denuded slope gave up its precious soil to the forces of gravity and running water. Because early pioneers moving through the Gap were easy prey for bandits and vengeful natives, they were keen to clear the mountain of its refuge-providing, woody cover. Today, however, the mountain is protected by the United States National Park Service. Through changes in local land-use patterns and sound conservation measures used by the Park Service, the slopes are once again sheltered by a lush covering of oaks, hickories, and maples. Cumberland Mountain is the southern-most of two parallel ridges that form the eastern edge of the Cumberland Plateau in Kentucky and Tennessee. Pine Mountain forms the northern ridge. The upland area was formed some 245 millions years ago as the North American plate collided with the African plate, causing a folding and faulting of the earth’s crust in eastern North America. From the Pinnacle, it is easy to see the result of this collision. The view to the south and east reveals a landscape that resembles a crumpled carpet or the rippling waves that spread forth from the place where a pebble fell into a tranquil pond. There are ridges and valleys running in a northeast-southwest direction across the great valley of East Tennessee. Before that collision, some 320 million years ago, there was another collision. That time it was between the North American and European plates. This impact forced the North American plate downward below sea level. Much of the area known as southern Appalachia was under a shallow ocean. Animals with calcium-rich shells died and fell to floor of the sea and over time, their crusty remains formed limestone rock. Other sediments fell to the floor and hardened into shale and sandstone layers. When the most recent plate collision occurred, those pliable rock layers were folded, and in some places cracked, creating the beautiful landscape we see today. The pressure and heat resulting from the impact transformed the core of the mountains into dense, sturdy metamorphic rock. e scholars have argued that the Cumberland Gap was formed by water flowing over the area during the era of plate collisions. As the North American plate buckled under the immense pressure generated by tectonic forces, the Appalachian Mountains rose slowly. It is argued that as the uplift occurred an existing river cut the gap into its present shape. There is new theory that offers an explanation for the formation of the Cumberland Gap. Barry Vann, who is a historical geographer at Lincoln Memorial University, agrees that running water played a role in shaping the gap, but he thinks a violent impact removed the bulk of the soil and rocky material that once filled the void in Cumberland Mountain. There is little debate among scholars that the bowl-shaped depressed area located to the northwest of the gap was created by a meteorite impact. The city of Middlesboro, Kentucky, sits in the crater today. Vann argues that the expulsion of debris during the meteorite impact blew out part of the Cumberland Mountain leaving the gap in its wake. Research, however, needs to be conducted to test Vann’s theory. In addition to its interesting geological history, the Cumberland Gap area is a visually striking place. It is also one of the most significant places in American migration history. Early pioneers could have crossed Cumberland Mountain at Pennington Gap in Virginia, but because Pine Mountain did not offer a low place to traverse it near that location, settlers were forced to travel 40 miles on to the Cumberland Gap where an old, well-worn path stretched northward through a pass in Pine Mountain some fourteen miles away. To accommodate migrating families in search of western lands, Daniel Boone and 38 Woodsmen employed by Richard Henderson’s Transylvania Company blazed the Wilderness Road along the route in 1775. The next section tells us how and why the old path was formed. Before hunters and gatherers from Asia came into North America during the Pleistocene some 10,000 to 40,000 years ago, wooly mammoths and other animals that would become extinct lived in the region and traveled to and fro through the Gap, leaving a well-marked trail. Bison, black bears, beavers, deer and elk made good use of the regional flora and were plentiful when the Cherokee, Shawnee, and Europeans first came to the area. The Cherokee came to southern Appalachia (western North Carolina, eastern Tennessee and northern Georgia) from the northeast where other tribes spoke similar Iroquoian languages. They came to the region in the middle of the fifteenth century and established a capitol at Chota in Monroe County, Tennessee. The Shawnee, whose name means “southern people of the Algonquin”, were pushed out of their villages in New York and Pennsylvania by rival Iroquois in the late seventeenth century. Like the Cherokee, the Shawnee built small towns on river banks and were good at farming low-lying, fertile fields. The Cherokee and Shawnee were conflicting rivals, and, as such, the country north of the Cumberland Gap was described as a “dark and bloody ground”. The Great Warriors’ path, which ran from the Cherokee capitol at Chota (located in Monroe County, Tennessee), extended north through the Cumberland Gap following meandering hollows filled with canes and thorns. The path also crossed rapidly flowing creeks and rivers until reaching the rolling “blue grass” area north of the Kentucky River. This region, like its subsequent state name, was Kentucky. Over time, the two nations came to use Kentucky primarily as a hunting ground. Most of the Shawnee who had an interest in Kentucky lived in towns located near the Ohio River in the north. Shawnee settlements such as Mekoche, Piqua, Chillicothe, Kispoko and Hathawekela were independent, patrilineal villages. The Cherokee and migrating herds of buffalo used the relatively low-lying Powell Valley as a route to the Gap and into Kentucky. The trail that they wore into the landscape extended eastward through the Powell Valley of Virginia to Moccasin Gap, near modern-day Johnson City, Tennessee. There a trail split off to the north through the Shenandoah Valley. That trail was called the “Great Indian Warpath”. To the south of Moccasin Gap, a trail cut through East Tennessee to Chota and other paths provided routes across the mountains of western North Carolina all the way to the piedmont, the lands of the Catawba nation. The Powell Valley in Tennessee was also marked by foot paths worn down by natives and wild game alike. The original Blockhouse, built by John Anderson near the North Fork of the Holston River in what is now Virginia’s East Carter’s valley, was where the Wilderness Trail began. It was the last safe haven for those migrating toward Kentucky, except for a chain of forts, most of which were evacuated during the height of the Indian Wars. The Blockhouse was specifically designed to be easily defended and virtually impenetrable by Indians. There are no known images or detailed surviving descriptions of the Anderson Blockhouse. However, such information does exist for blockhouse structures of the 1775 era and there is no evidence to suggest that John Anderson did not follow the established blockhouse construction practice. John Anderson built the Blockhouse about 1775 and lived at the site until his death in 1817. Following the death of Chief Bob Benge in 1794 the Indian threat in Scott County disappeared and Anderson constructed a new two-story house. The Blockhouse was converted to a loom house and was used for that and related purposes until 1876. In that year the main house was destroyed by fire and the fire spread to the Blockhouse and it was destroyed also. The Blockhouse was an important landmark for frontier travelers and served as the gathering place for hundreds of pioneers traveling the Wilderness Road to Kentucky between 1775 and 1800. It sat near the intersection of the pioneer roads coming down the valley of Virginia, trails up from the Carolinas and the Great Warriors Path connecting the Holston and Watauga Valley with the Ohio Valley. Various pioneer journals, the earliest being Brown’s (1782) and Filson’s (1784), identify the Blockhouse as the starting point for the Wilderness Road and provide distances from the Blockhouse to each of the stations between the Blockhouse and Philadelphia to the east and to Crab Orchard Kentucky in the west, where the Road ended. A monument was erected adjacent to the original Blockhouse site in 1921. In 1998 the Daniel Boone Wilderness Trail Association received, with Congressman Rick Boucher’s assistance, a special Congressional appropriation from TEA-21 funding of $285,000 for construction of a replica of the Anderson Blockhouse. The DBWTA was not able to negotiate a fair market price for the original Blockhouse site in East Carter’s Valley and other suitable property in that area was not available so it was necessary to look elsewhere for a site on which to construct the Blockhouse replica. As project planning progressed security, long term site care and sustainability of the developed site were addressed. With these issues in mind and the need for a suitable construction site Craig Seaver, Manager of Natural Tunnel State Park, was approached about the possibility of placing the Blockhouse at an appropriate site within the park. Craig was supportative and a presentation was made to the Director of the Virginia Department of Conservation and Recreation. The Director approved the proposal and a unique, one-of-a-kind partnership was created with the Commonwealth of Virginia – a private non-profit organization using Federal funds to construct a privately owned permanent structure on State Park property. This partnership proved to be highly successful and will be used as a model for similar projects in the future. The grant received required a 20% local match, cash or in-kind. DCR provided A&E services pro bono to the project and that along with the surveying services provided pro bono by Saxon & Associates, legal services provided pro bono by Lisa Ann McConnell and architectural services provided pro bono by Kingsport engineering firm Spoden & Wilson covered the entire required 20% match. In addition, supporting monetary contributions were received from EASTMAN Chemical Company, Kingsport Times-News, Cox Ford Tractor and the Scott County Chamber of Commerce as well as private individuals. Area historian, Dr. Lawrence Fleenor, and members of the DBWTA did historical research to determine the most probable historically correct design for the Blockhouse. The final architectural design was produced by Hal Spoden who has extensive experience in the design of historic structures. Construction began in early 2003 and the Blockhouse was dedicated on October 27, 2003. The Blockhouse site is accessible daily for public visitation. Outdoor interpretative panels enhance the visitor experience. 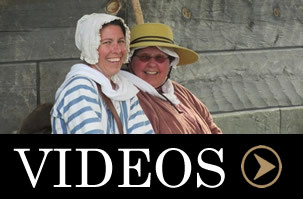 During the spring, summer and fall the DBWTA presents living history events throughout the season, host visitors on Saturday and Sunday and conducts educational programs for area schools at the Blockhouse. In 2005 the Overmountain Men Chapter of the Sons of the American Revolution, with generous contributions from the Scott County Tourism Committee, the Scott County Chamber of Commerce the Manville Ruritan Club and the Daniel Boone Wilderness Trail Association placed a Revolutionary War Patriots memorial at the Blockhouse site. The Wilderness Road Blockhouse received the Northeast Tennessee Tourism Association regional Merit Award-Historic Preservation Division for 2004. The site of Fort Blackmore can be reached from Gate City, Virginia. At the Daniel Boone Wilderness Trail sign in front of the Scott County Courthouse, proceed East (right) on Jackson Street/Rt. 71. After approximately two miles, turn left onto Rt. 72, following signs for the present day community of Fort Blackmore. After about ten miles, you will cross over the Clinch River on a large bridge. Historical Fort Blackmore was on the north bank (far bank), to the left of the bridge. The site is on private property. At the north end of the bridge, on your left, is a monument erected by the DAR which tells about Daniel Boone and his connection with Fort Blackmore. To return to the Daniel Boone Wilderness Trail, turn around and retrace the route. John Blackmore settled on land at the mouth of Stoney Creek on the Clinch River in 1773. He purchased 518 acres from the Loyal Land Company, and his acreage was surveyed on March 25, 1774 by Captain Daniel Smith, deputy surveyor for Fincastle County. At about the same time, surveys were entered for Isaac Crisman, John Thomas, Dale Carter, and John Blackmore, Jr.
At this time, Daniel Boone and his family had been living on land owned by David Gass, near Castle’s Woods, some dozen or more miles east; ever since Boone’s son James was killed by Indians as a party of settlers made its attempt to go to Kentucky in October, 1773. Young Boone, on that occasion, was traveling separate from the main party, in company with Henry Russell and others. Russell, son of Captain William Russell, “a Gentleman of Some distinction.” according to Royal Governor Lord Dunmore, was the organizer of that attempt, and Boone was the logician. After the murder, the immigration effort was aborted and some of the settlers returned to the Yadkin, and a few stayed on in the Clinch and Holston settlements. In the aftermath of the murder of the boys, one of the survivors, one Isaac Crabtree killed an innocent Cherokee at a horse race near what is now Jonesborough, Tennessee. This event, and another brutal slaying by white frontiersmen of the nine members of the Mingo tribe on the Ohio in April of 1774 had stirred the tribes along the frontier into a war-like mood. Those few men taking up land on the Clinch were brave souls for many “families on the river had moved back to safety” according to surveyor Smith. Much of the detail that is known of Fort Blackmore comes from the correspondence of officers of the militia during the following months, in what became known as “Lord Dunmore’s War.” The commanding officer of the Fincastle County Militia was Colonel William Preston, who resided near what is now Blacksburg, Virginia, on the New River. Officers reporting to him included Captain Russell on the Clinch; Major Arthur Campbell, Fort Shelby – at what is now Bristol; and Captain Daniel Smith, mentioned above. In a letter dated May 24, 1774, Colonel Andrew Lewis, of Augusta County, advised Preston that “Hostilities are actually commenced on the Ohio below Pittsburg.” In a War Council in June at the Lead Mines, near Fort Chiswell on the New River, it was decided to send militia under Colonel William Christian, Augusta County, to aid William Russell; and “at Preston’s instigation, William Russell sent Daniel Boone and Michael Stoner to tell John Floyd and other surveyors to come in from Kentucky. These two left for Kentucky on June 27, 1774.” This mission would first bring the previously obscure Boone’s name to widespread public attention. It was a tense time among the scattered settlers along the Clinch River. On July 12, Colonel Christian wrote Preston that “four forts [are] erecting in Capt. Russell’s Company; one at Moore’s, four miles below this, another at Blackmore’s 16 Miles above this Place [Castle’s Wood] I am about to station 10 Men at Blackmore’s.” On the 13th, Captain Russell notified Preston “there are four families at John Blackmore’s near the mouth of Stoney Creek, that will never be able to stand it, without a Commd. Of Men, therefore request you, if you think it can be done, to Order them a supply sufficient to enable them to continue the small fortification they have erected.” Thus the fort took the name of the man on whose land it was built. Captain James Thompson was the first officer put in command of the little fort. Men in the community were quite eager to join Lord Dunmore’s expedition to stop the Indians on the Ohio before they could come into the frontier settlements. Col. Preston had stated, “the plunder of the Country will be valluable. . . . it is said the Shawnese have a great Stock of Horses.” Those in command along the Clinch and Holston had difficulty manning the local forts with many eligible men wishing to go. On August 27, Daniel Boone returned from his mission to Kentucky; and almost immediately begged of Major Campbell to be sent on to Point Pleasant on the Ohio. Lord Dunmore had agreed to meet the forces from back country counties there with men he brought along from Tidewater. Boone set out, but was called back by Captain Russell to help defend the little Clinch River community as officer in command at Moore’s Fort. On September 21, Captain Thompson went out with those Ohio-bound forces, and Captain David Looney was put in command at Blackmore’s Fort. On the sixth of October Campbell wrote to say that Indians had attacked at Shelby’s Fort without success; and the day after that, he said, was the attack at Fort Blackmore. An alarm of their presence was given by Dale Carter, crying “Murder, Murder!” Ensign John Anderson and John Carter ran out of the fort to help, but Dale Carter was killed and scalped; and the slaves were taken. After this, the people of the area were feeling that they needed a commander who lived on the Clinch. October 13, Captain Smith wrote Col. Preston that he had been shown a paper signed by inhabitants requesting the appointment of Daniel Boone to be Captain and take charge of the Clinch forts. Smith endorsed this request and stated “I do not know of any Objection that could be made to his character which would make you think him an improper person for that office.” Preston immediately promoted him. Boone treasured his commission and carried it with him always until he was promoted again during the Revolution. Meanwhile, information was beginning to be received in these frontier parts that a battle had been fought at Point Pleasant on the Ohio between the forces of Colonel Andrews and the Indian tribes on October 10. Those forces met up with the Indians before they could join up with Lord Dunmore’s men, and fought a very successful engagement. Shortly thereafter, Dunmore negotiated a peace agreement ending the hostilities at Camp Charlotte. Some portion of the Shawnee nation agreed to give up it hunting rights in Kentucky if settlers would remain below the Ohio River. Local militias were disbanded, and November 21, Daniel Boone was dismissed from his duties. The Cherokee now were the only force with which to be reckoned for the settlement of Kentucky. Again, Daniel Boone would support a prominent man in a Kentucky settlement venture. Judge Richard Henderson of North Carolina, in late 1774, negotiated with Cherokee chiefs to purchase a large plot on land in Kentucky, irregardless that he could not do so legally; and that the Cherokee had no real claim to the land they sold to him either. He engaged Boone to go among the Cherokee during late 1774 to encourage them to meet at Sycamore Shoals on the Watauga in March, 1775, for the formal agreement and transfer of the goods that would pay for the purchase. Boone returned to the Clinch in early February and gathered some twenty men there to help him blaze the path through Cumberland Gap to the land Henderson wanted. Not all are known, they included Michael Stoner, David Gass, William Bush, and William Hays. It is not unlikely that this group included some of the men from the Fort Blackmore area. Squire Boone brought others from North Carolina and the combined band of trail blazers set out from John Anderson’s Blockhouse, on the North Fork of Holston, on March 10. Boone left the new Kentucky settlement, named Boonesborough in his honor, on June 13, 1775, enroute once more for the Clinch. “Boone set off for his family.” Henderson wrote in his journal. When Daniel arrived there, he found Rebecca about to give birth. In late July, she gave birth to a son, William, who did not survive. In mid August, Boone and family, and a party of some 50 immigrants set off for Kentucky. Probably some of them were men from the Fort Blackmore area; and the party would certainly have passed the fort, perhaps stopping overnight, in their westward journey. This ends Boone’s association with Fort Blackmore. But the fort continued as a place of refuge for many more years. 1775 was a relatively peaceful year east of Cumberland Gap, but hostilities with the Cherokee came again in 1776. Warriors who did not agree with the chiefs who treated with Richard Henderson, led by one Dragging Canoe, began attacks along the frontier. And there were many Indian attacks in Kentucky that caused large numbers of immigrants to flee back over the Cumberlands to the Clinch, Holston, and Watauga settlements. One such Kentuckian, William Hickman, arrived at Fort Blackmore on the Clinch, where he found other refugees “sporting, dancing, and drinking whiskey in an attempt to forget their fears.” “Things could get pretty rancid.” he said, “after a long period of confinement in a row or two of smoky cabins, among dirty women and men with greased hunting shirts.” In June, two men were killed at the fort. And in September one Jennings and his slave met death at the hands of Indians. Other forts had been erected along the Powell River, west towards Cumberland Gap, during 1775, including Priests, Mumps, and Martin’s. Col. Joseph Martin’s station was erected in January of that year, and he noted in his journal the stopover of the Henderson party of Kentucky settlers about the first of April. Col. Martin left in May to visit at his home in Virginia. Soon the people from Mump’s and Priest’s were driven out. When there were no more than ten left alive at Martin’s, those men fled to Fort Blackmore, where they found most of the people from the Mump’s and Priest’s forts. In July, 1776, Cherokees in force attacked at the fort at Sycamore Shoals on the Watuaga, and battled local militia at the Battle of Long Island Flats, near present Kingsport, Tennessee. About the same time, one Ambrose Fletcher, living near Fort Blackmore, had his wife and children killed and scalped. Colonel William Christian was again called upon by Col. Preston, this time to put down the Cherokee uprising. Jonathan Jennings of Fort Blackmore, and father of the Jennings who was killed, mentioned above, accompanied that expedition to the Cherokee towns on the Middle Tennessee River. After that, mention of Fort Blackmore in the known historical record becomes scanty. There is one famous story, dating from 1777, that may or may not be true. Men in the fort heard a turkey gobbling. They wanted to go out hunting, but were prevented by a knowledgeable backwoodsman, one Matthew Gray. He convinced them that they were hearing Indians. He directed the men to create a distraction on the bank of the river, while he snuck across the Clinch. He was able to get where he could see the Indian warrior perched in a tree, making the turkey noises. Mr. Gray dispatched the “turkey” and fled back into the fort with the others. Indian attacks on settlers along the Clinch, Holston, and Watuaga Rivers did not cease until after 1794, when a half breed, Benge, who had led many of the forays, was killed near what is now Big Stone Gap. Benge committed his last crimes near what is now Mendota, Virginia, on the North Fork of the Holston. He fled, with two captive women, over the Clinch Mountain, Copper Ridge, and, finally, High Knob Mountain before being caught up with. This route probably took him very near Fort Blackmore. And so, it was right in the middle of Indian unrest from its beginning to its end. Just exactly when it was abandoned as a fort is not known. The land owner believes he is able to point out where the fort stood; but, for the most part, it has disappeared from sight. Its little cemetery is still findable, below the current highway bridge over the river, and to its right, near the bank of the river. Scott Countians who care for old cemeteries keep it cleaned and accessible. Many of it graves are unmarked. When Jamestown was founded, the Chickahominy Tribe lived in established villages along the Chickahominy River, from the mouth of the river near Jamestown to the middle of the current county of New Kent. Because of their proximity to Jamestown, the Chickahominy people had early contact with the English settlers, helping the settlers survive during their first few winters. The Mattaponi Indian Reservation which stretches along he borders of the Mattaponi River in King William County, dates back to 1658. As one of the oldest reservations in the country, the Tribe traces its history to the paramount chief Powhatan, father of Pocahontas, who ruled most of Tidewater Virginia when Europeans arrived in 1607. The Monacan Indian Nation culture dates back more than 10, 000 years and the original territory of the Tribe comprised roughly half of the state of Virginia, including most of the Piedmont region. The Monacan Nation is one of the oldest groups of indigenous people still existing in their ancestral homeland, and the only group of Eastern Siouans in Virginia. At the time of their earliest English contact in Virginia, the Nansemond tribe lived in several villages along the Nansemond River centered near Chuckatuck, in the current city of Suffolk. The arriving English raided the Nansemond villages in 1608, burning their houses and destroying their conoes to force them to give up their corn, thus beginning the open hostilities between the two communities. As increasing numbers of Europeans poured into the Nansemond River area, tribal members had to relocate their tribal lands and reservation on several different occasions, losing their last known reservation land in 1792. The Pamunkey Tribe dates back ten to twelve thousand years. Two major treaties with the King of England (in 1646 and 1677) established the Articles of Peace and a land base for the Tribe, later referred to as a reservation. Listed as one of the six or more districts inherited by Chief Powhatan, evidence indicates that the Pamunkey district itself was the center among those core districts. In 1607, Powhatan moved east to Werowocomoco in an effort to aid in the consolidation of his rapidly expanding chiefdom. The Rappahannocks’ first documented encounter with the English occurred in 1608 when Samuel Mace sailed into the Rappahannock River, killing the Chief and taking men back to England. In the summer of 1608 John Smith mapped fourteen Rappahannock villages on the north side of the river. English settlement in the Rappahannock River valley began in the 1640’s. After Bacon’s rebellion, the Rappahannock consolidated at one village and in November 1682, the Virginia Council laid out 3,474 acres in Indian Neck, where their descendents remain today. For centuries, the ancestors of the Upper Mattaponi People have lived in villages along waterways of Virginia, the land known as Tsenacomocco. Like neighboring tribes, they spoke the Angonquian language and when the British came in 1607 they were prosperous people under Chief Powhatan. John Smith’s map of 1612 indicates the present location of the Upper Mattaponi corresponds correctly with a village marked on his map as Passaunkack. Powhatan was the paramount chief of the Tidewater region when the English arrived at Jamestown in 1607 thus, he was never referred to as chief Powhatan but rather as Powhatan. His tributaries (tribes that paid tribute to him) did not constitute a “confederacy” or “nation” but were a paramount chiefdom. These tribes were not sub-tribes but individual nations. Virginia Algonquian cultures were matrilineal. The status of the mother, not the father, determined the child’s status. The English knew Powhatan’s high status wives by name, but the mother of Pocahontas was never identified. Thus Pocahontas, Powhatan’s daughter, should not be referred to as a “princess”. Also, her age is uncertain as well as many events of her life. Opinions vary widely on the alleged “rescue” incident at Werowocomoco in 1607. Some accept the event as Smith described it in his 1624 writings even though it was not mentioned in his earlier accounts. Others believe the incident occurred but that it was an “adoption” ritual that Smith misunderstood. Still others believe it never happened. January 2007 How did the Wilderness Blockhouse end up playing such a vital role in the Wilderness Trail to Kentucky? The answer lies in the location chosen by its builder, John Anderson, and when he built it – right at the critical point when Kentucky opened up for settlement. And Daniel Boone probably played a part as well. In 1775 the land that would become the state of Kentucky belonged to the Cherokee and Shawnee as a sort of demilitarized hunting ground between the two tribes. Kentucky was off limits to whites due to a royal proclamation of the British government. The proclamation, however, did not stop Richard Henderson, an aggressive land speculator, from negotiating with the Cherokee to purchase a large portion of Kentucky for his own private resale and settlement. The legality of Henderson’s purchase was questionable, and ultimately he lost his right to most of the land. He is nevertheless credited with opening the door of Kentucky, for better or worse, to white settlement. After his purchase, Henderson immediately hired Daniel Boone to blaze a “waggon road” from Long Island, near today’s Kingsport, Tennessee, all the way to the proposed settlement area in Kentucky. In March 1775 Boone put a party of about 30 men together, and they marched north from Long Island. Boone’s team “blazed” their way over an already existing trail through two key gaps in the mountains – Big Mocassin Gap near present Gate City, Virginia, and Cumberland Gap on the Kentucky-Virginia border – and from there to the new settlement of Boonesborough. In reality, Boone’s party covered ground so fast they probably did little more than mark the trail. Nevertheless, this trail quickly became famous as “Boone’s Trace” or what we know today as the Kentucky Wilderness Trail. Henderson and a larger party of settlers followed right behind Boone to organize the Kentucky adventure and solidify Henderson’s control over it. The land Anderson selected was a mile or so north of the current Virginia/North Carolina border and only five miles from Big Moccasin Gap. The Blockhouse he built at this site was the last habitation before the gap, essentially marking the end of white civilization and beginning of the treacherous wilderness. The primary reason the Blockhouse became so critical to the Wilderness Road was its location at the start of what would be the only realistic overland route to Kentucky and the west for the next twenty years or more. Travelers headed to Kentucky (or later to Tennessee, Mississippi, Alabama, or Missouri) would have to travel to the Long Island area by one of two roads, one of them the Great Wagon Road that carried travelers south from Pennslyvania to Long Island, and the second the road coming up through North Carolina that also converged on Long Island. Boone’s new Kentucky trail to Big Moccasin Gap traveled north from this Long Island intersection and passed right by the Blockhouse location. Thus, for a quarter of a century, almost every overland traveler to Kentucky went right by the front door of the Blockhouse. An estimated 200,000 to 300,000 people made this journey, including 80,000 in 1784 alone – a rate of over eighty people a day. Because of its location, the Blockhouse also came to play a serendipitous role as the gathering point for parties going over the Wilderness Trail. The trail crossed some very dangerous territory, particularly the sixty miles between the two gaps. Apart from the bears, wolves, wild creeks, and impassable mountains, bands of Cherokee, Shawnee, and other tribes routinely attacked and killed travelers on this stretch in a futile attempt to save their hunting grounds. As early as 1782, journals from this period record how travelers camped near the Blockhouse until enough armed men showed up to lead a party safely over the trail. The site was so well known that these journals refer to it simply as “the Blockhouse” or “the Blockhouse on the Holston.” Apart from its location, the other reason the Blockhouse became so critical to the Wilderness Trail was the timing of its construction. The Blockhouse likely already existed, or at least was under construction, by the time Boone’s and Henderson’s parties passed by in March 1775 to open the Kentucky settlements. This evidence comes from the journal of a man named James Nourse, who returned from Kentucky shortly after Boone and Henderson arrived there. During his overland return by way of the new Boone path, Nourse tried to stop at “the block-house” (he missed it by one valley). Nourse could only have known the Blockhouse existed, and how to find it, if one of the earlier parties going to Kentucky knew about it and told Nourse where to look for it The very earliest travelers following Boone’s trail were thus aware of the Blockhouse and spread word of it as the best stopping point either before entering the wilderness, or as the welcoming landmark of safety and civilization for those returning from Kentucky. Every traveler after that knew to look for the Blockhouse, and many of them wrote about it in their journals. One enduring and unanswerable question is whether the Blockhouse, and especially its location and role as a point of protection for Wilderness Road travelers, was the result of chance or design. Perhaps Anderson simply wanted a quiet home for his family and settled at the next available piece of unclaimed land in Carter’s Valley. If so, he may have come to regret his choice of location when he had to cope with hordes of unwanted strangers on his doorstep for the next twenty-five years. On the other hand, Anderson may have actually cooperated with Boone’s plans in building the Blockhouse where he did. Even before Henderson’s purchase, Boone had already tried several times to take settlers to Kentucky, the last time (in 1773 when he lost his oldest son James to a Shawnee ambush. Boone and Anderson also knew each other from serving together in the Virgnia militia during the fall of 1774 in the recent Dunmore’s War. Boone likely spoke of his Kentucky plans around Anderson, since Boone was obsessed with opening the land and constantly promoted it. It is certainly a possibility that they discussed the need for a fort or blockhouse near the start of the trail Boone planned to mark. Such a plan might explain why Anderson chose the much more difficult blockhouse design, rather than a simple one-story log cabin like almost every other settler. It may also explain in part why Anderson put the Blockhouse up around March 1775, at the very point Boone blazed his trail and settlers began pouring across the new trail. Regardless of Anderson’s intent, the Wilderness Blockhouse could well have been just one more home in the wilderness but for the convergence of the Blockhouse’s location and timing of its construction. Those factors instead transformed it into a major landmark in the late 1770s, a role we are rediscovering today through the efforts of the Daniel Boone Wilderness Trail Society. By: Lawrence J. Fleenor, Jr.
the first settler of Lee County, Virginia. child was Joseph Junior, born in 1742.
ran away and joined the British Army during the French and Indian War. the Hunter’s Trace on their arrival in present Lee County March 26th. The competing group did not arrive until April 15th. and retained ownership through several treaty and legal problems. given specific authority to control the settlement of Powell Valley. cabins; these built some 20 feet apart with strong stockades between. had finished building their settlement. Soon thereafter, Martin joined the Holston Militia as a captain. following the murder by Indians of Isaac Crisman and his family. militiaman with five musket balls. seek aid in the relief from the attacks on the Kentucky settlements. treaty was signed with the Cherokee July 1st. recorded how Martin got out of that scrape. resolved to cross the mountains themselves and to attack the British. Susannah Graves, who also accepted his relationship with Betsy Ward. the settlers began to become an open sore. British did at the signing of the treaty ending the Revolutionary War. He also served on road commissions in Virginia during this period. “Old” or “Upper” Station at Rose Hill. status of the Cherokee lands around Muscle Shoals, Alabama. appointed a commission that included Martin to deal with the Cherokee. the United States of America and the Cherokee. settlers that he became unable to function. because he had been unsuccessful in stopping the Indian raids. between Virginia and the States of Tennessee and of Kentucky. Indian Creek and who died in Lee County in 1821 was is not known. holdings between Rose Hill and Ewing was his brother or his son. the spring that supplied his Upper Station and which bears his name. pursue their peaceful passtime in its cool waters. The constellation of Martin’s properties centered around his Lower or New Station near Shawnee, Tennessee, and his Upper or Old Station properties around Rose Hill and Ewing. There was a total of 1,349 acres running from US 58 in Virginia to Harrogate, Tennessee that was the Lower Station tract. The state line between Tennessee and Virginia at that time ran south of Harrogate, and all these properties were entirely in Virginia. was the son or the brother of Joseph. “The exercise will do them good.” The statement seems benign enough until you consider its source – a decidedly corpulent General Winfield Scott referring to the Cherokee’s forced exodus from the Southern Appalachians. The year was 1838, and the white-folks-in-charge had decided it was time for the Cherokee to go. Despite opposition from some – Ralph Waldo Emerson, for instance, who urged his countrymen not to inflict “so vast an outrage upon the Cherokee Nation” – the removal at gunpoint proceeded and became known as the infamous “Trail of Tears,” a national disgrace in which thousands died on a forced march west. As wicked as it was, the crime would have been even worse had it not been for an extensive network of trails which cut through the gaps and ran along the ridge lines of the Blue Ridge Mountains. Several hundred Cherokee used them to evade Scott’s troops, helping to form what is now the Eastern band of the tribe. Many of today’s most popular trails – including sections of the Appalachian Trail – are former Cherokee trails. These trails were originally blazed by the “buffalo,” the North American bison. Back in the day, these big bovines – six foot plus at the shaggy shoulders and a ton of chunk on the hoof – thrived in the thick forests of the Southeast. Migrating across millenia between seasonal feeding grounds on opposite sides of the Appalachians, the bison bulled their way through the Blue Ridge, leaving in their wake a network of pathways which, for the first Cherokee who finally came along, was nothing less than the information superhighway of its day. Its existence allowed for various forms of communication over distances and landscapes that otherwise would have been impossible. Since the first horse would not be seen in the Blue Ridge until Hernando de Soto came clopping along in the sixteenth century, all communication would have proceeded at the speed of feet. Champion Cherokee trail runners must have been treated like some combination of rock star and FedEx delivery guy. By the time the settlers barnstormed their way in, punctuating the equilibrium with their pigs and cattle, gunpowder and iron, whiskey and exotic diseases, the Native Americans had developed the trails into a web of continental proportions. Archaeologist William Myer documented dozens of such trails. One of the most important, the Great Indian War Path, linked what is now upstate New York to the Gulf of Mexico at Mobile, Alabama. Along the way, this spinal column of a trail intersected major east-west routes which connected the Carolinas to Tennessee, and Virginia to the Ohio Valley. If you could travel back in time to 1492, it would have been possible to run for years east of the Mississippi without ever having to step off a trail. Even the mighty Appalachian Trail can only gaze upon such well-endowed mileage. But things fall apart and centers cannot hold. Almost nothing of the original Cherokee trail network remains. In fact, its very existence facilitated its destruction as it provided a convenient avenue of entry for all those settlers with their wagons full of stuff. Some stretches, to be sure, remain in use to this day, but those tend to be the valley sections and are now state highways with big trucks and SUVs zooming over them. Then there’s Warrior’s Path State Park in Tennessee, named for the Cherokee section of trail that once cut through the Holston River Valley and reached all the way north into Iriquois country. The park is lovely, but its 12 miles of trail fail to measure up to the original trail by almost three orders of magnitude. Still, a few of the Southern Appalachian trails today are based on previous Cgerokee trails, including sections of the Mountains to Sea Trail in North Carolina. One of the most popular stretches is the “Bull Gap” section, which got its name when, in 1799, a settler by the name of Joseph Rice shot the very last buffalo in North Carolina.